1. 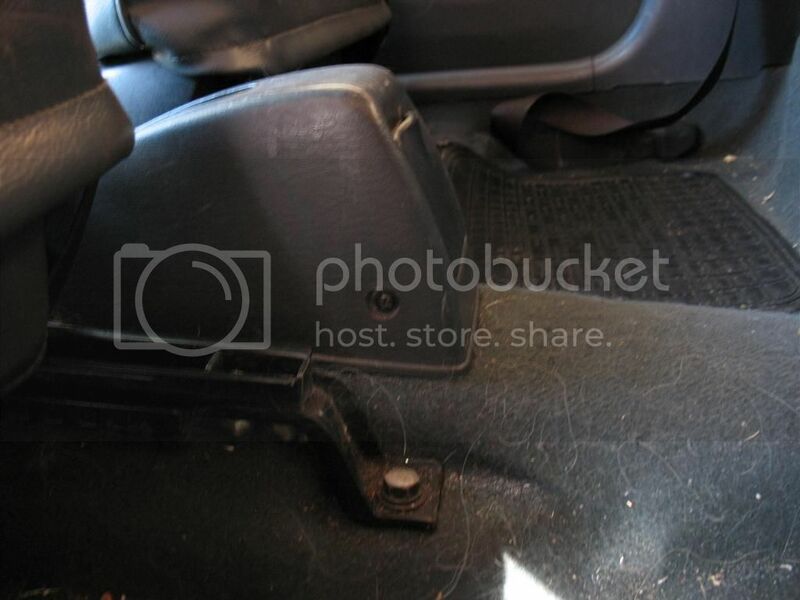 Put your front seats forward and remove the two screws from the handbrake cover. Pull the cover off. 2. 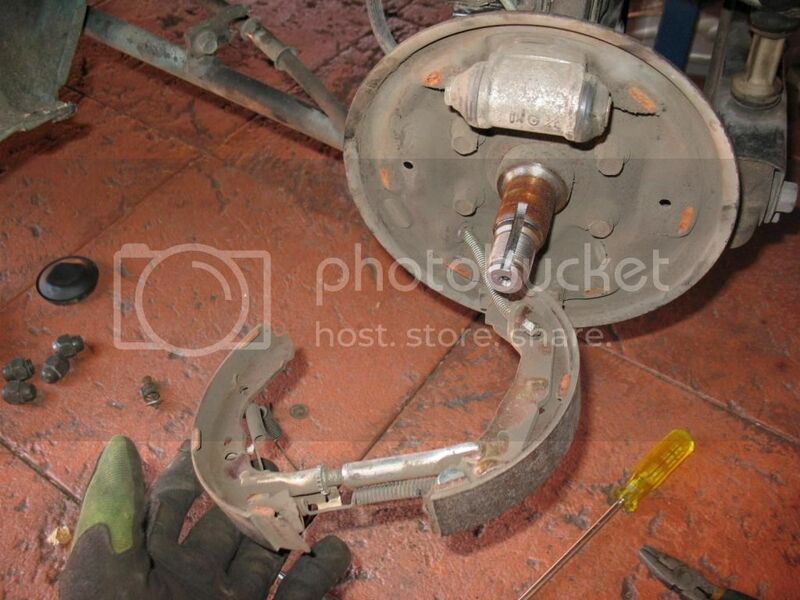 Release the handbrake, then unscrew the 12mm cable adjuster nut all the way. Lefty is loosey. 3. 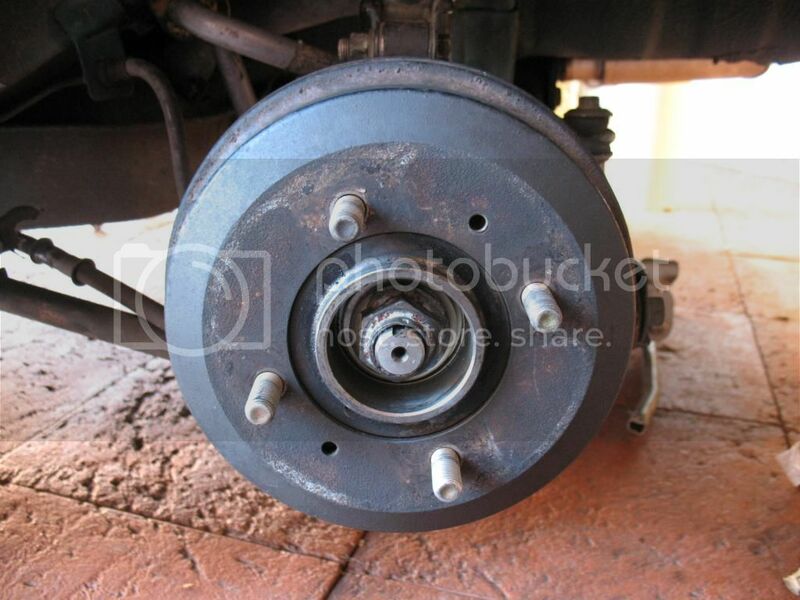 Chock the front wheels, jack the back of the car up and remove both back wheels. 4. 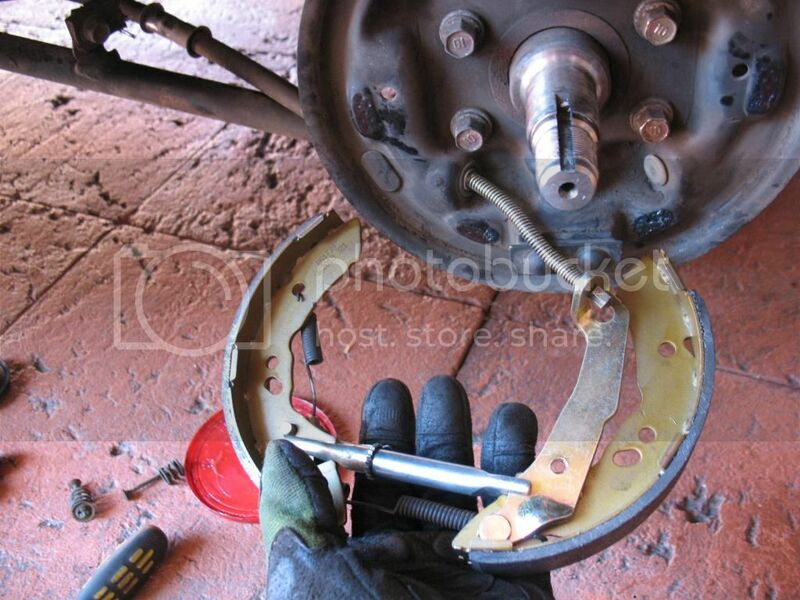 Remove the phillips head screw holding the brake drum in place. WD40 advised as these commonly sieze. Find some metric bolts that fit into the two holes in the drum face - I think it's an M6 thread, the heads on mine were 12mm for reference. 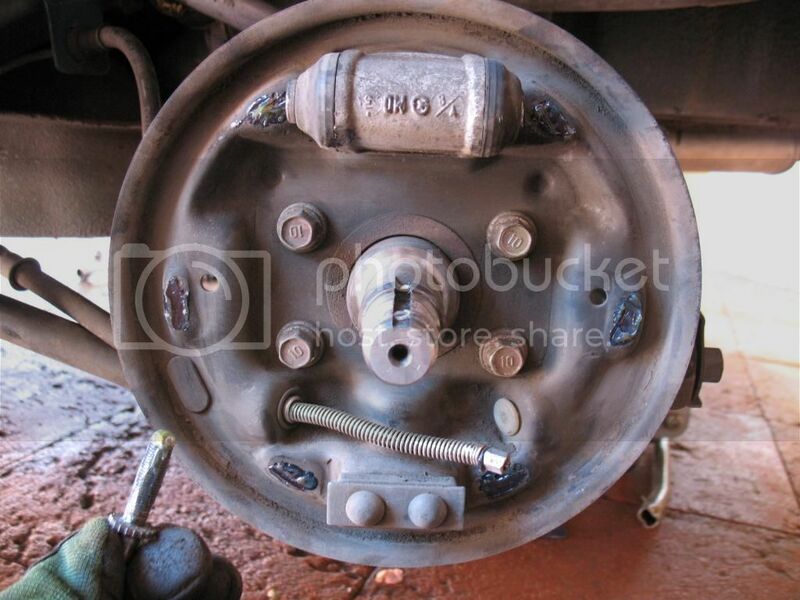 Tighten the bolts, alternating from one to the other, and the brake drum should pop off. 5. 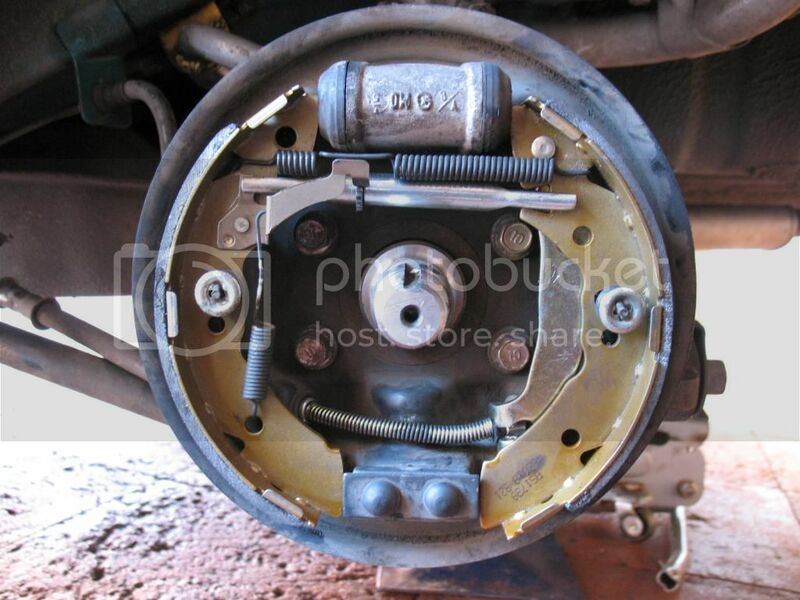 Lever off the hub cap. 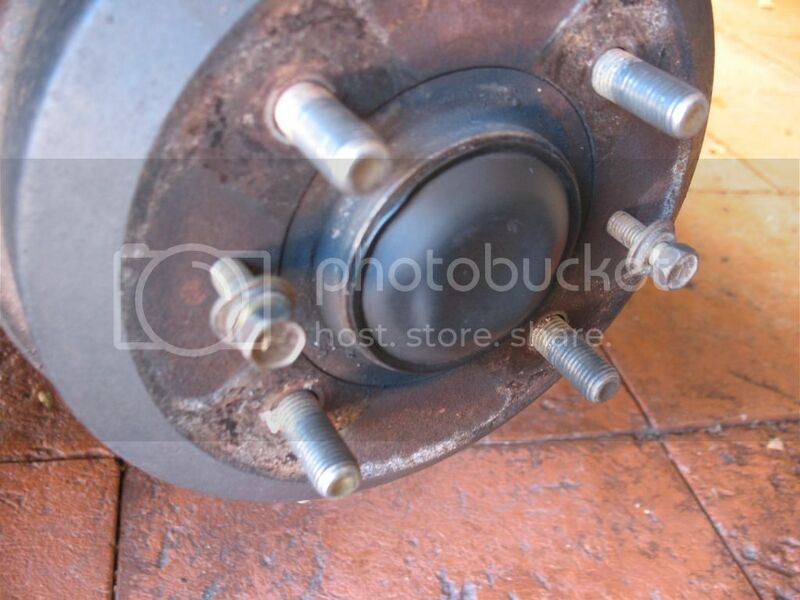 Use a small screwdriver to straighten out the indent in the hub nut that locks it in place - otherwise it will destroy itself when you unscrew it. 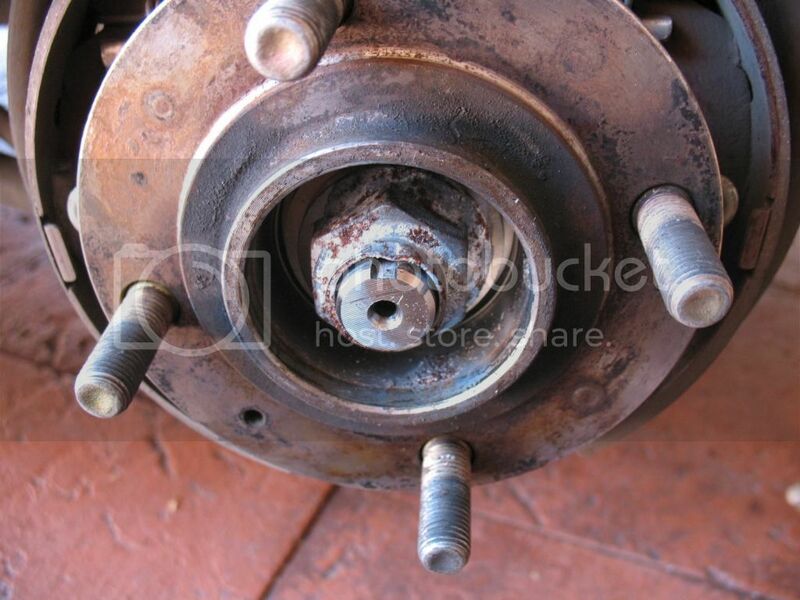 Use a breaker bar and undo the hub nut, and ease off the hub. You will need a 32mm socket for this. 6. Take careful note of how everthing is assembled. 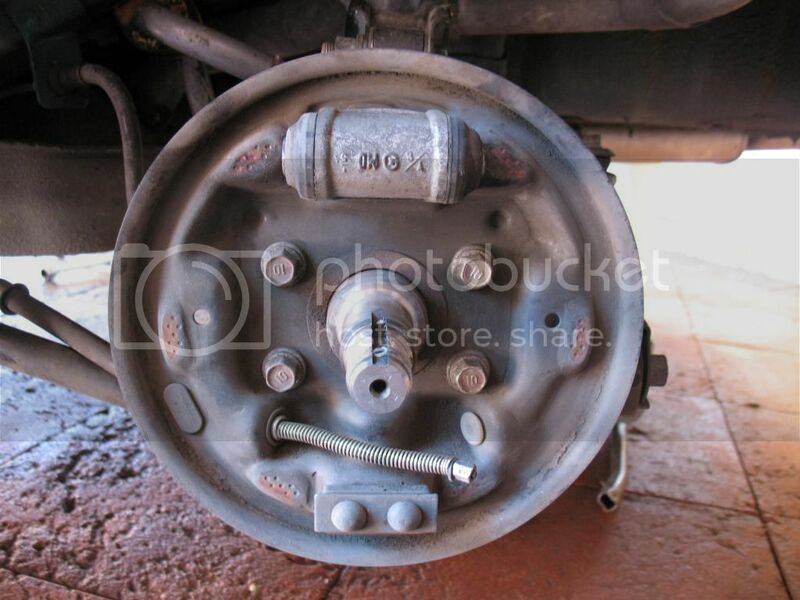 I got a brush and brushed out the brake dust before continuing. 7. 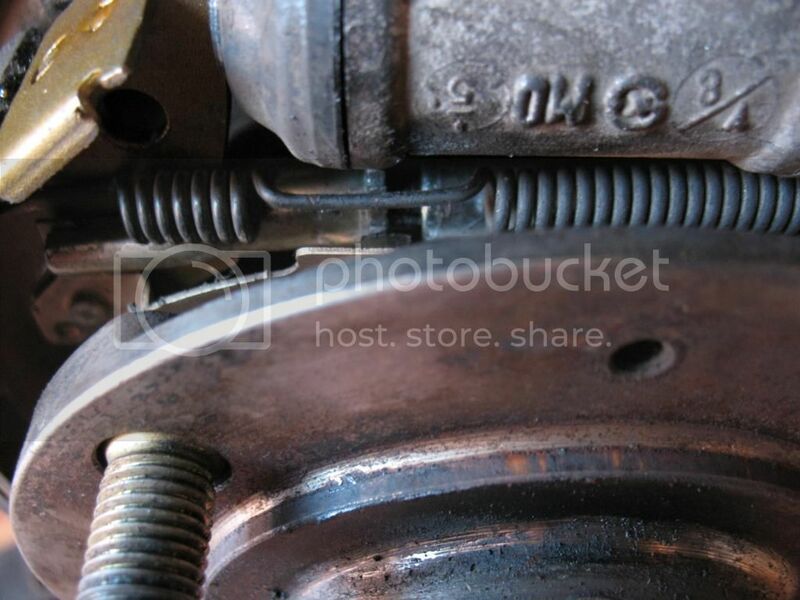 Use pliers to remove the lower return spring. 8. Remove the two retainer pins - hold the pins from behind and use snub nose pliers to compress the spring and rotate the retainer by 90 degrees at the same time. 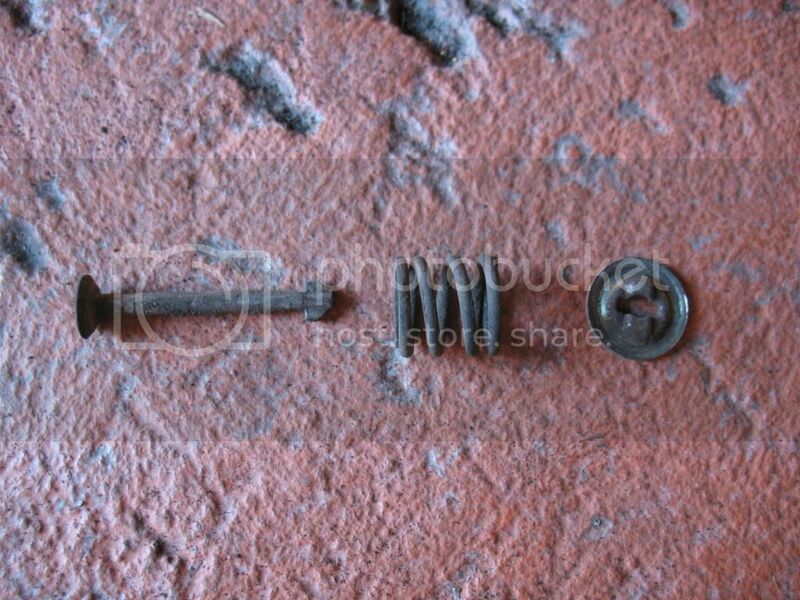 Included is a pic of the dissasembled pin/spring retainer for reference. 9. Pull the shoes off and hold them at this angle. 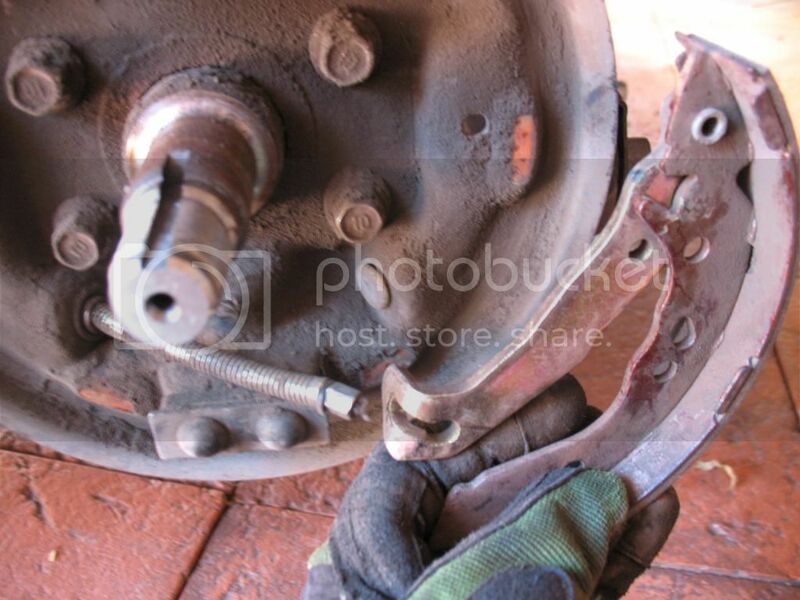 You need to remove the handbrake cable from the trailing brake shoe - use pliers to slide the spring down the cable a little bit, then pull the cable around the bend until you can pull the cable end out of the eye. 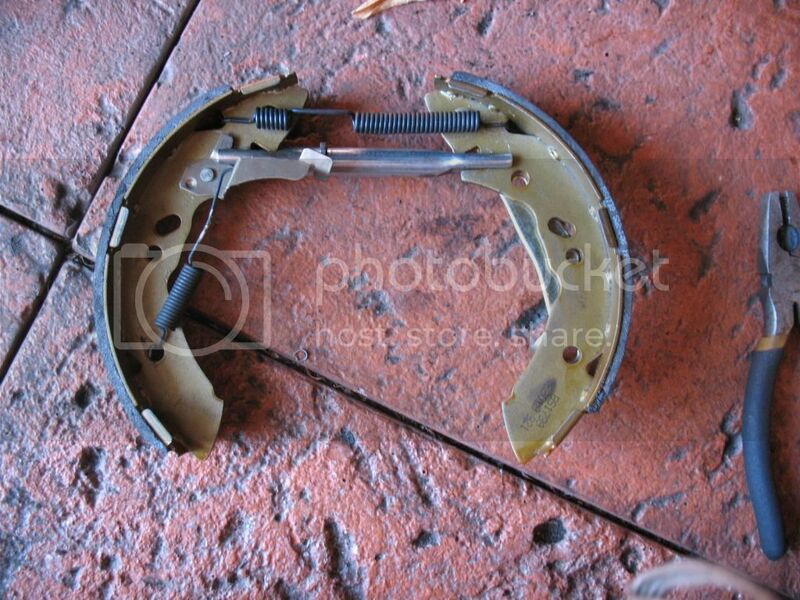 Pull the shoes off and discard them, but make sure you keep all the springs and the adjuster assembly. 10. You are now left with the backing plate. 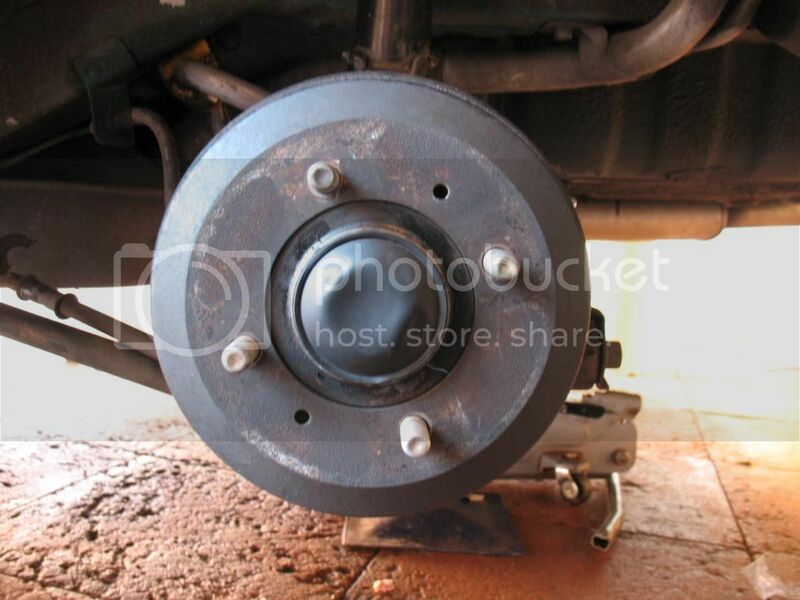 Get the brush out and clean off any remaining brake dust. Apply a SMALL amount of high temperature grease to the dimpled areas on the backing plate, the threads of the adjuster screw, and the hub. 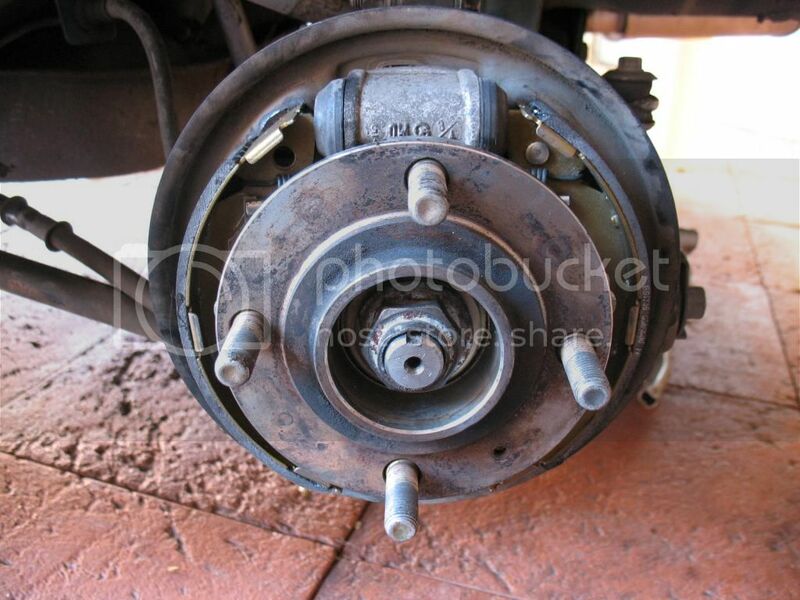 Be careful not to get any grease near the brake pads. 11. 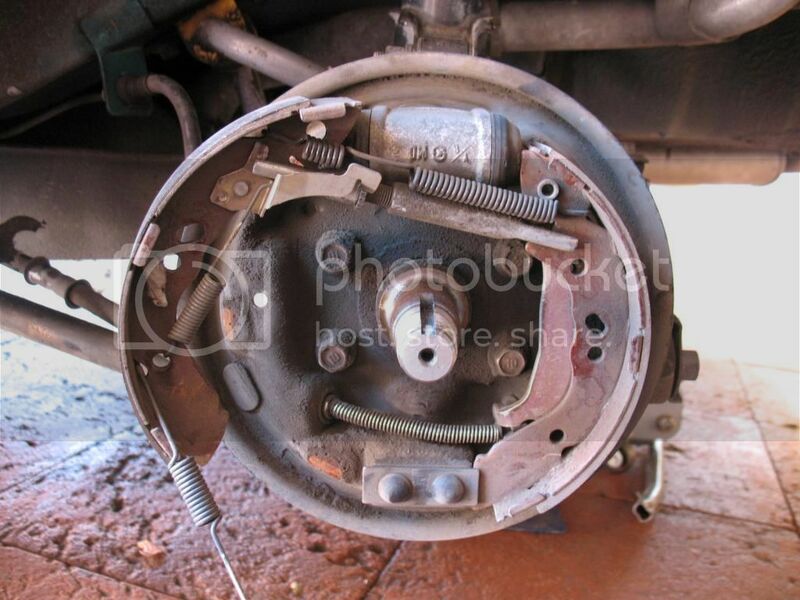 Screw the adjuster all the way in to make room for the new shoes. 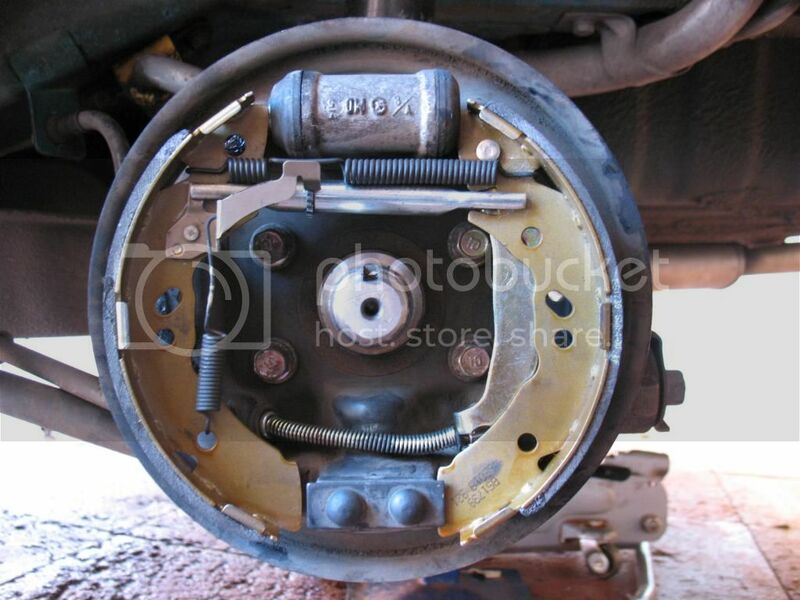 Install the adjuster between the shoes - be sure to have the ends oriented correctly. You want the notch on the leading shoe facing outboard, and the notch on the trailing shoe facing inboard. It needs to be sitting flush or the whole thing won't assemble properly. 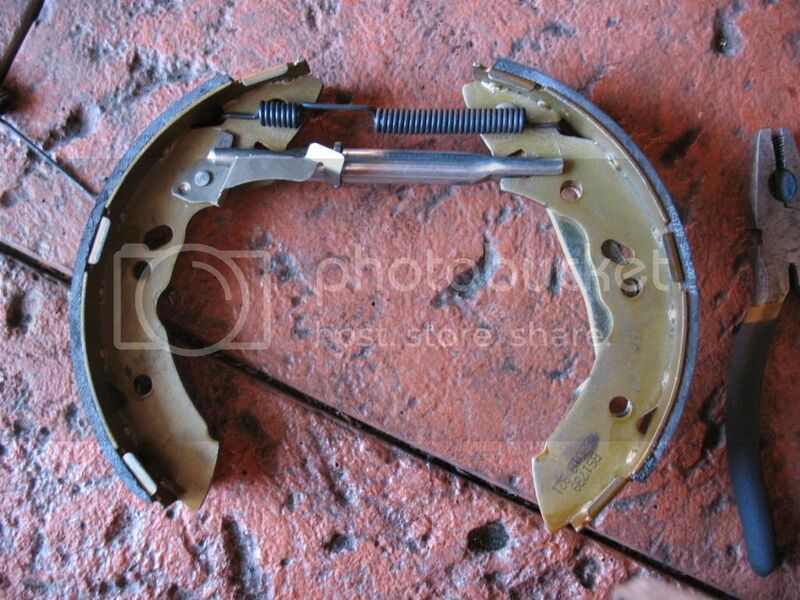 Install the adjuster spring between the pads using pliers. 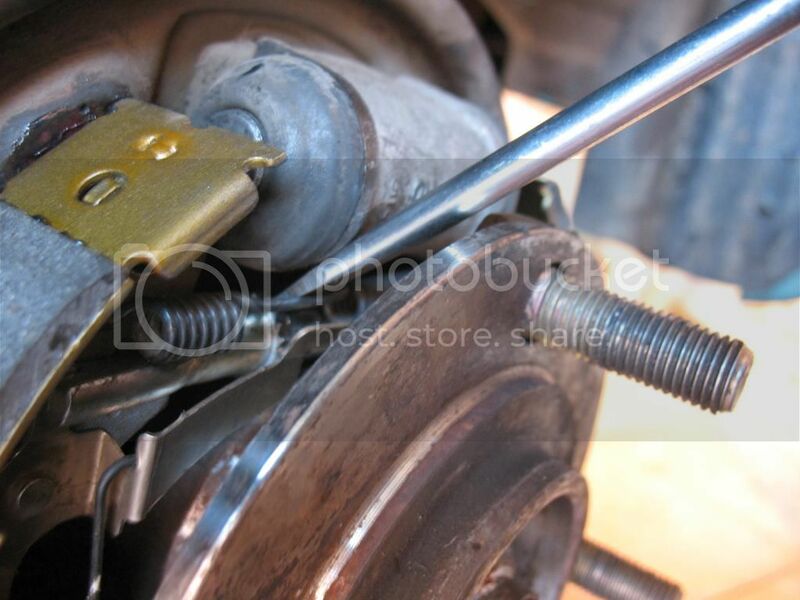 Be sure to have the non-coiled part of the spring sitting above the adjuster wheel. 13. 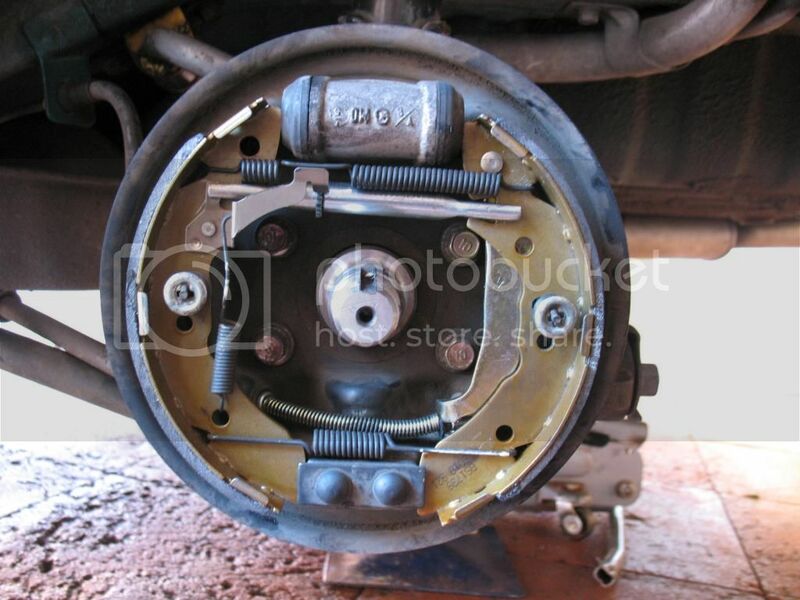 Install the adjuster lock plate and the adjuster spring. Make room by grabbing the shoes at the bottom and pulling them together. 14. 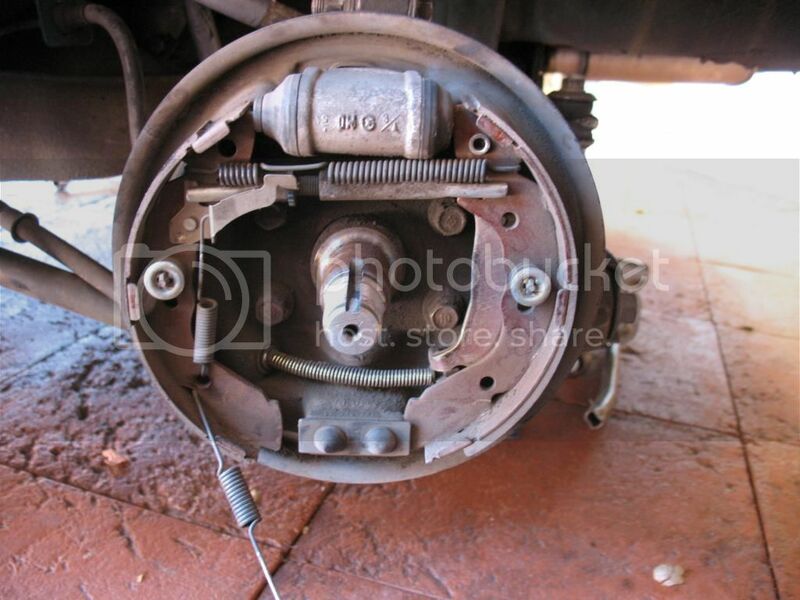 Hold the shoes at this angle and install the handbrake cable in the same way that you uninstalled it. 15. Push the slave cylinder together, and then slide the shoes into position. 16. Reinstall the retaining pins. Make sure you rotate the spring retainer caps 90 degrees until they click. 17. 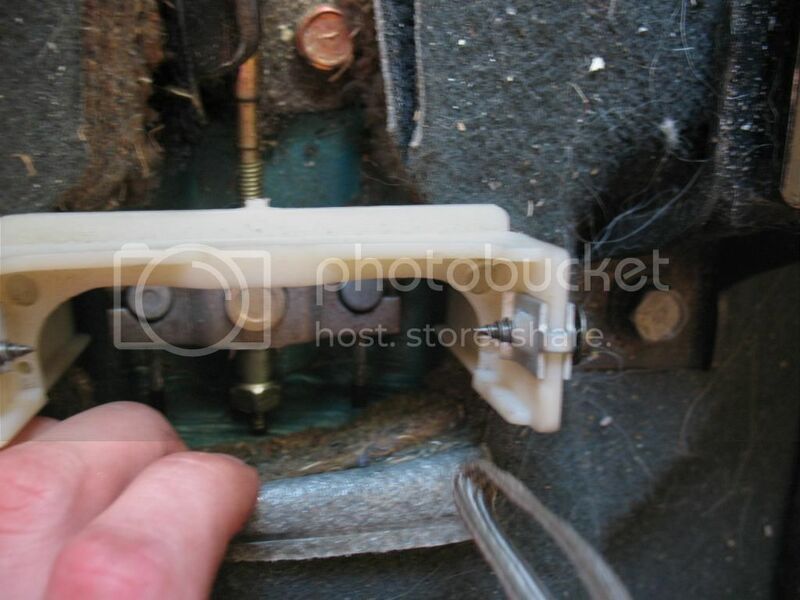 Install the lower spring using pliers. 18. 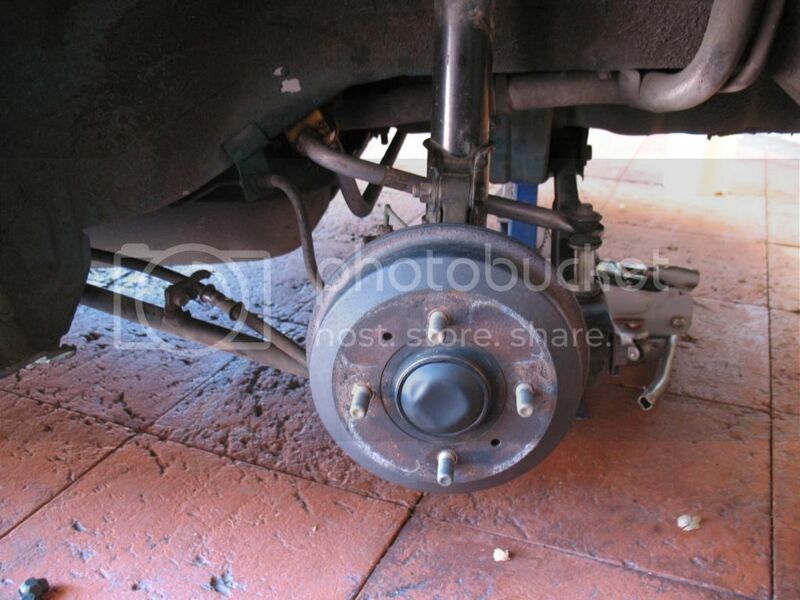 Install the hub into place, and tighten the nut to 200 Nm. 19. Install the drum and check that it spins freely. If not, re-check your installation. 20. Now you can start opening up the adjuster - open up a few clicks at a time, and keep reinstalling the drum and checking that it spins freely. The idea is to have as much preload on the shoes as possible without the shoes dragging on the drum. For reference, this his how much I had to open up the adjuster before it was kosher. 21. Install the drum. It's up to you if you want to put the retaining screw back on, I left it off because it's prone to seizing. Pop the hubcab back into place. 22. Repeat for the other side. Tighten up the handbrake cable and take for a test drive. 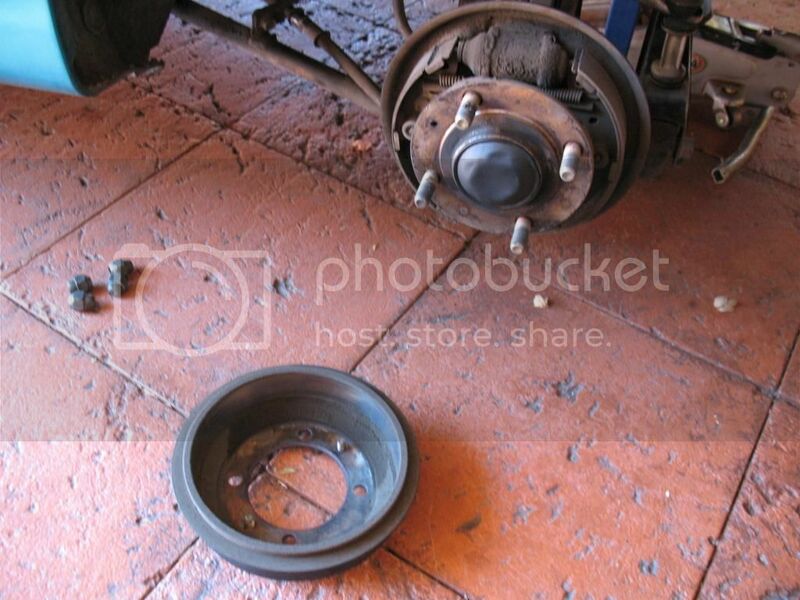 Bed-in procedure depends on the brand of brake shoes that you buy. 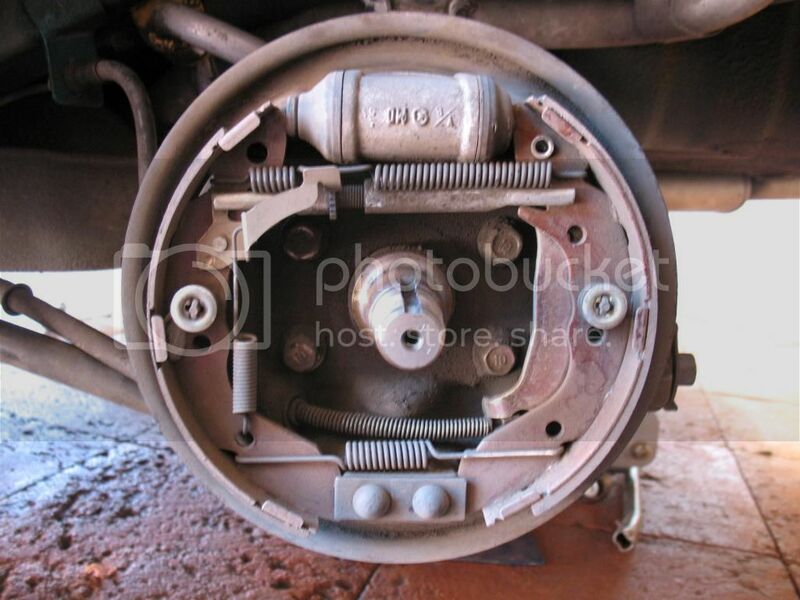 The brake pedal is likely to be a little softer for the first 100 miles or so, until the new shoes wear themselves into your old drum. Nitrogen for tire inflation at home?